Replying to a volley of questions from the opposition party members during the question hour, he said the government has not received any report on Rohingyas entering the state from Myanmar or Bangladesh. 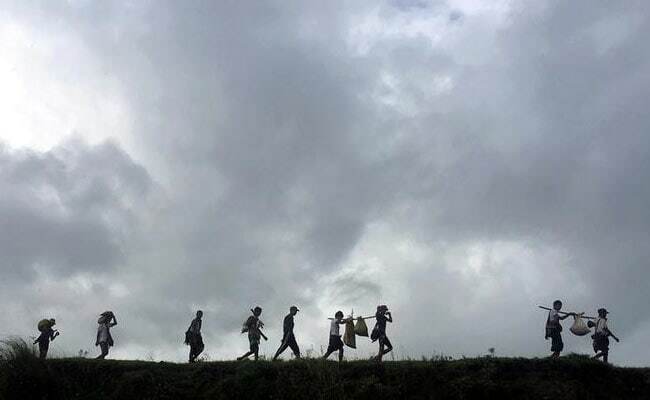 Aizawl: No Rohingya Muslim refugee has entered the state till date but around 400 people from conflict-torn Arakan in Myanmar have taken refuge in Mizoram, state Home Minister R Lalzirliana told the Assembly today. Mr Lalzirliana also explained that the ongoing armed encounter between militant group Arakan Army (AA) and the Myanmar Army have resulted in around 400 people fleeing Arakan in the past few months to take shelter in Mizoram's Lawngtlai district. He said the refugees that have put up in the southern part of Lawngtlai district - mainly in Laitlang, Hmawngbuchhuah and Zochawchhuah villages - have received food and shelter from local people and the district administration. Of these 400 people, three are Arakan Army militants who received injuries during clashes with the Myanmarese Army. Two of them were treated at the Lawngtlai district hospital and one has been shifted to an Aizawl hospital in a serious condition, the minister added. 13 Myanmar Police Officers Killed By Rakhine Rebels In "Brazen Raids"